Although Kentucky Senator Mitch McConnell has tried to kill the bill in the past, the drumbeat for a sentencing reform act is getting stronger and stronger. Indeed, even many of McConnell’s Republican colleagues see that sentencing reform is the fair and decent thing to do. That is because the sentencing picture in the United States looks grim. Our experiment in mass incarceration over the last three decades has not had any real results. If there were any positive results, they are vastly outweighed by the unfairness, the racism, and injustice that is systemic in the sentencing practices of our criminal justice system. First proposed in 2015, sentencing reform on the federal level has now come back as the Sentencing Reform and Corrections Act of 2017 ("Sentencing Reform Act"). I have touched upon this criminal reform bill in previous posts, but it is time to look at the six major changes proposed in the Sentencing Reform Act. The Sentencing Reform Act seeks to reduce enhanced penalties for non-violent repeat drug offenders in an effort to reduce the draconian sentences imposed for non-violent crimes. It also takes away entirely the “three-strike” mandatory life provision, which allows for a life sentence when someone is convicted on three occasions. Finally, the Sentencing Reform Act will target enhanced penalties on those with prior convictions for serious violent crimes, or serious drug crimes. There are many stories about non-violent, first-time drug offenders receiving incredibly long federal prison sentences. A lot of those sentences were the result of stiff mandatory minimums. The Sentencing Reform Act provides for judges to have more discretion on sentencing non-violent offenders, particularly drug offenders. The bill attempts to keep strong penalties in place for violent offenders, but allow judges to be reasonable when it comes to certain non-violent offenders. The Sentencing Reform Act makes clear that enhanced mandatory minimum sentences are to be used only for those who use a gun during a crime of violence, or who have previously been convicted and served a sentence for a crime of violence. The bill allows judges to use their discretion for offenses involving people who illegally possess a gun, but never brandished or used the gun in the course of committing a crime of violence or a drug-trafficking crime. Notably, not all the changes in the Sentencing Reform Act can be characterized by a loosening of mandatory minimums. The bill actually adds new mandatory minimum sentences for those involved in interstate domestic violence. It also creates new mandatory minimums for those who provide weapons to certain prohibited countries and to terrorists. Finally, the Sentencing Reform Act creates a new five-year penalty for a person trafficking in heroin laced with fentanyl. Over 10 years ago, The Fair Sentencing Act was passed in large part to rectify the discrimination that resulted from imposing far stricter prison sentences on crack-cocaine offenses compared to powder-cocaine offenses. The crack/powder distinction had led to African-Americans spending exponentially more time in prison than white Americans because crack-cocaine was more prevalent in African-American communities. The Fair Sentencing Act, however, was not available to those already sentenced by the time the law was passed. Accordingly, the Sentencing Reform Act allows retroactive application of The Fair Sentencing Act. Stated differently, those convicted of non-violent drug offenses prior to the passage of The Fair Sentencing Act can seek a review of their sentences in court. The Sentencing Reform Act requires the Department of Justice (DOJ) to assess federal inmates by their risk of recidivism. Following the assessment, the DOJ then must assign inmates to an appropriate recidivism reduction program including work and education programs, drug rehab programs, job training, and faith-based programs. Those who successfully complete the programs become eligible for early release, or can complete their sentences in a non-prison setting (i.e., home confinement or halfway house). The Sentencing Reform Act also has other changes, such as limiting solitary confinement for juveniles and improving the accuracy of criminal records. Significantly, the Sentencing Reform Act creates a National Criminal Justice Commission, which is charged with doing a comprehensive review of the criminal justice system. Such a comprehensive review has not been conducted in more than 50 years. 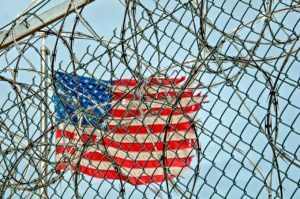 The Sentencing Reform Act, which was recently passed by the Senate Judiciary Committee and may move on to the full Senate, is encouraging. With all of the problems in federal sentencing, and all of the inequities stemming from the mass incarceration efforts in the U.S. since the 1980s, change is sorely overdue. The six major changes proposed in the Sentencing Reform Act are a good start to real reform. Sentencing advocates do not believe that the reforms in the bill go far enough. Yet, on the road to real sentencing reform, it is hopeful to see that the idea of mass incarceration is falling into the rear view mirror. If you need professional, passionate sentencing advocacy, look no farther than Brandon Sample PLC. Brandon has the skill, experience, and dedication to handle any federal sentencing matter you have. Call 802-444-HELP today.